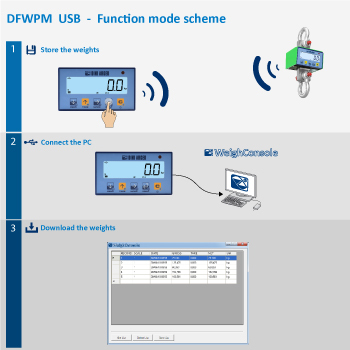 Radio frequency remote control and weight repeater in one solution, for DFW indicators and MCW crane scales. 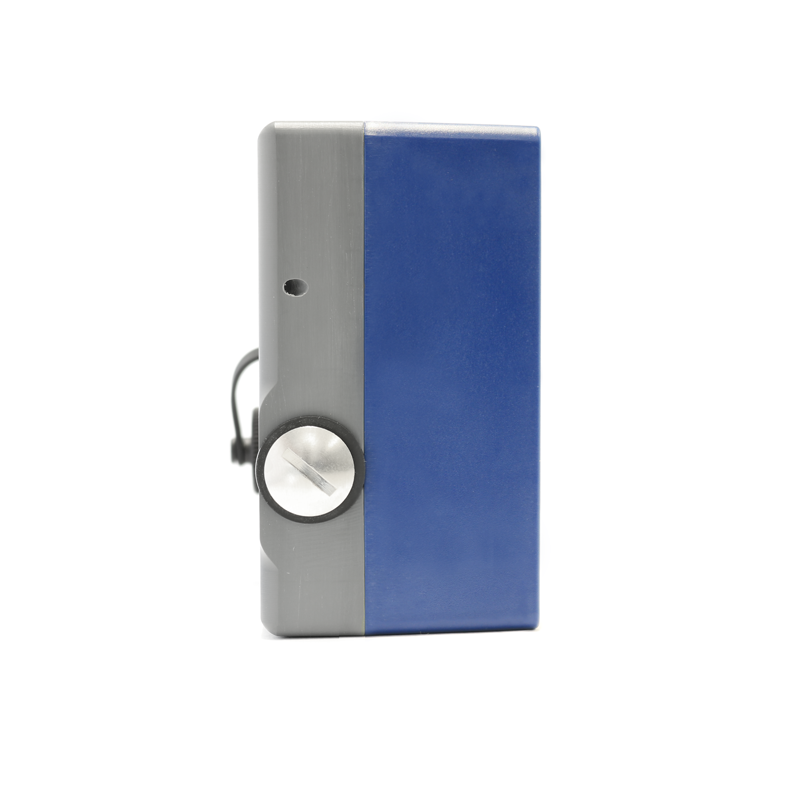 Easy to transport and view due to its small size and large backlit display. 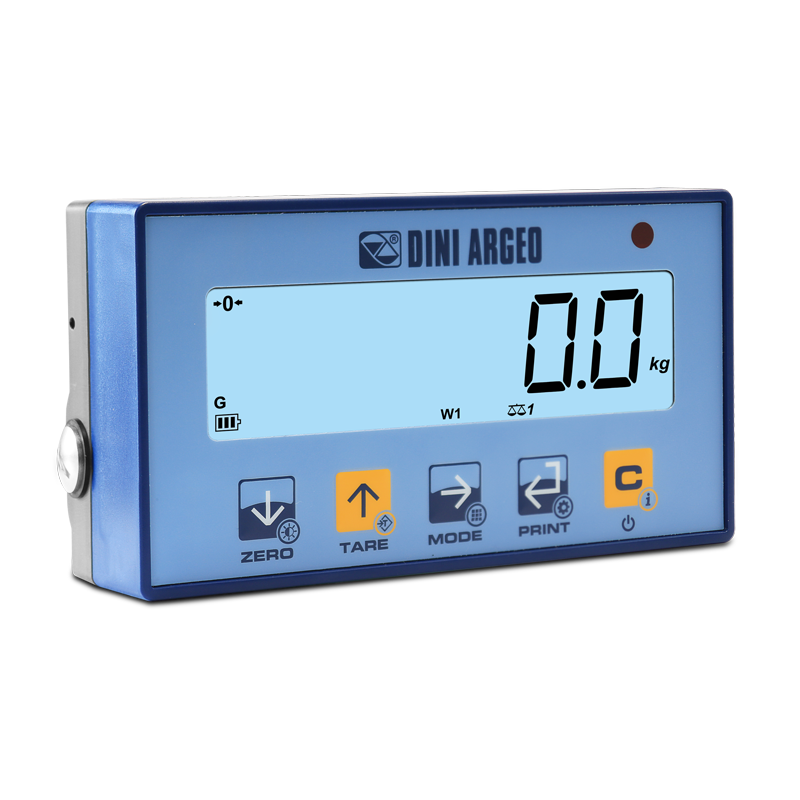 DFWPM can control the main scale functions from a distance using the integrated keypad. 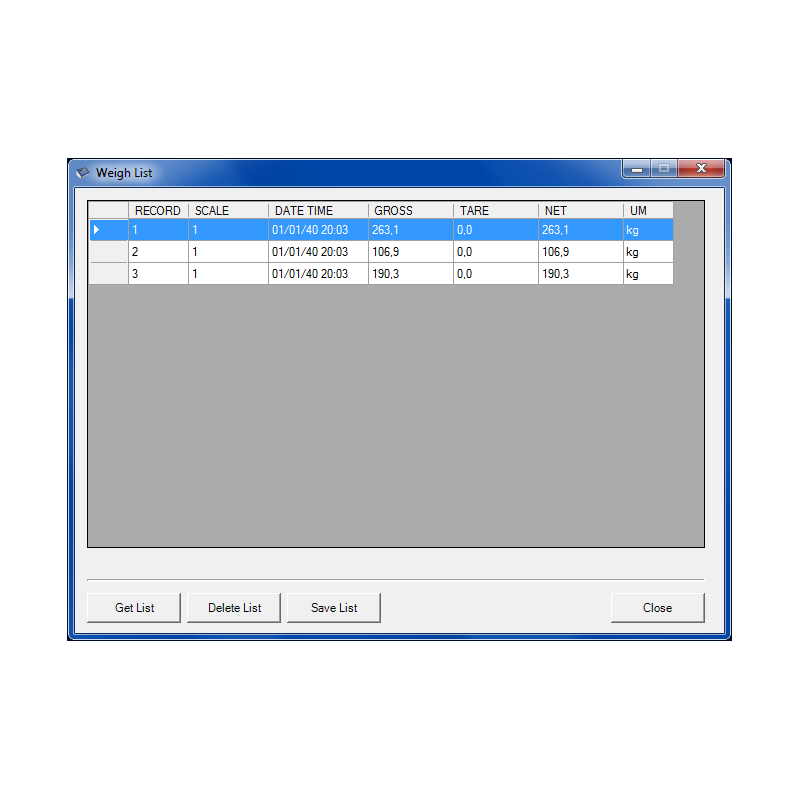 The USB version allows to save weights for the further processing by a PC. Fitted with a long life rechargeable battery. Backlit LCD 25 mm LCD display with 6 high contrast digits with icons for indicating the active functions. 5 Key waterproof mechanical keyboard. Max. functioning distance, in appropriate environmental and installation conditions: 70m indoors, 150m outdoors. 50 configurable channels. Power supply provided by rechargeable long life battery (about 80h); battery charger included. DFWPM has to be coupled with scales or crane scales fitted with optional radio module. 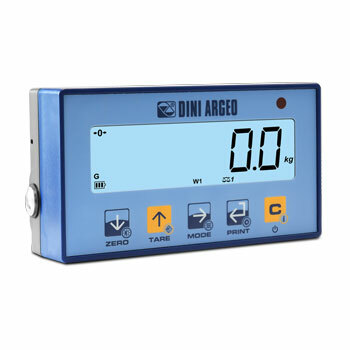 TAKE NOTE: for legal for trade applications, the connected scale/crane scale has to be fitted with the optional alibi memory board. Mini USB standard port for download of the weights by a PC, through WeighConsole PC software (Mini USB to USB cable adapter not included). 868Mhz integrated radio modem, with 50 different frequency channels, easily programmable from PC, for communication with indicator, scale and crane scale. USB port (standard fitted with the DFWPM10USB model), for quick connection to the PC. Remote visualisation of the weight, messages and metrological/functional icons. Remote management of displayed scale functions: ZERO, TARE, PRINT, ENABLING/DISABLING of the FUNCTIONING MODE and SWITCH-OFF. Recording of 500 weights for internal use, executed on one or more scales/crane scales (weight of each scale and sum). 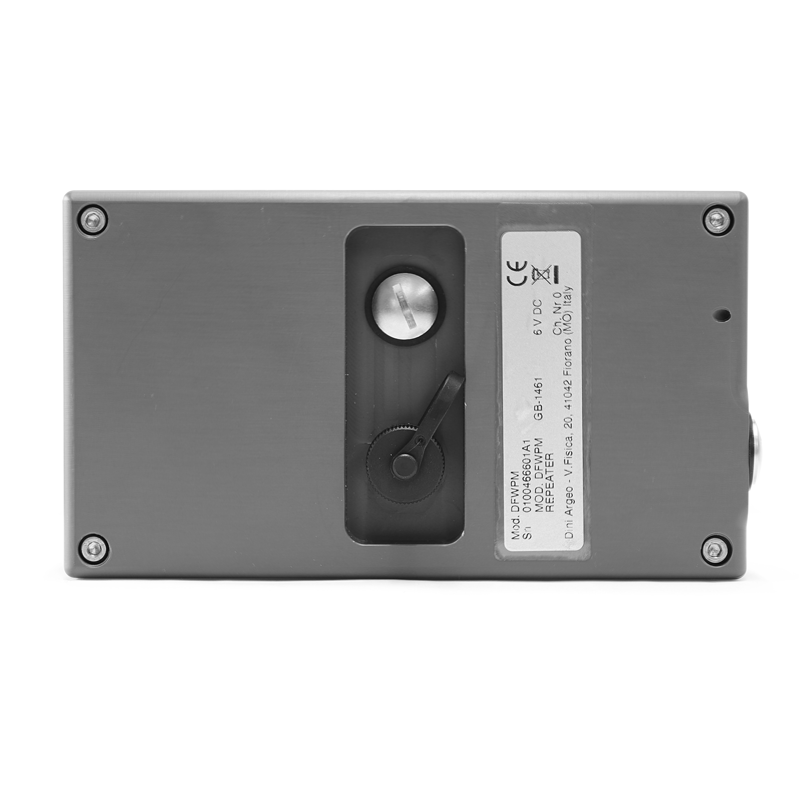 Connection to the PC through USB port for reading the list of weighs, by using the "Weigh Console" software or by a specific serial communication protocol. Recording of 250 weights for legal for trade use, executed on one scale/crane scale fitted with optional alibi memory.